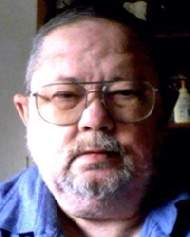 James Robert "Gunny" Jorgenson obituary. Carnes Funeral Home. James Robert "Gunny" Jorgenson peacefully passed away into the hands of The Lord July 29 2014. Gunny as he was known by all was born April 1 1947 in Houston Texas and grew up in Galena Park Texas. He graduated from Galena Park HS . Gunny is preceded in death by his parents James and Lucille Jorgenson. He is survived by two children Pam Turner and James Jorgenson jr and eight grandchildren Brycen, Blake, and Logan Turner, Victoria, James 3rd and Abigail Jorgenson, Anthony Jorgenson and Noah Jorgenson. Two brothers Don and wife Nancy and nephew Jason, Marty and wife Janelle and nieces Jubille, Emily and nephew Allen. Gunny worked for various company's then Hughes Tool before following in his fathers footsteps and joining the Marine Corp and serving his country for 21 years retiring at the rank of Gunnery Sargent. He then was employed for 10 years with EXXON Baytown retiring as head shift cook were many still miss his cooking. He was a member of VFW Post 8953 of Romayer Texas and a proud member of the Republican party of Liberty Co Texas. Gunny will be lovingly remembered as a friend to all who helped others when he could. He lived his life his way and will be missed.